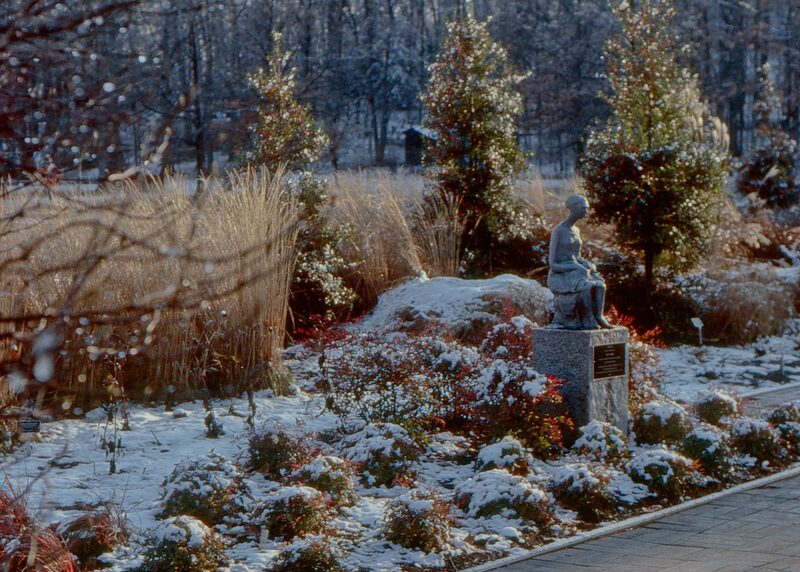 Conceived as residential garden prototypes, The Friendship Garden and New American Garden create a true to life landscape scenario typical of a suburban home. 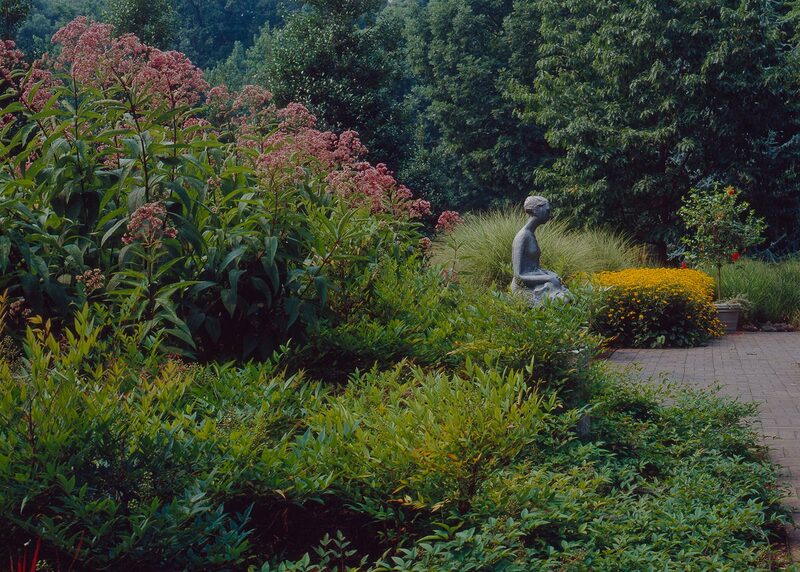 The purpose of these one-acre gardens is to welcome and entertain. 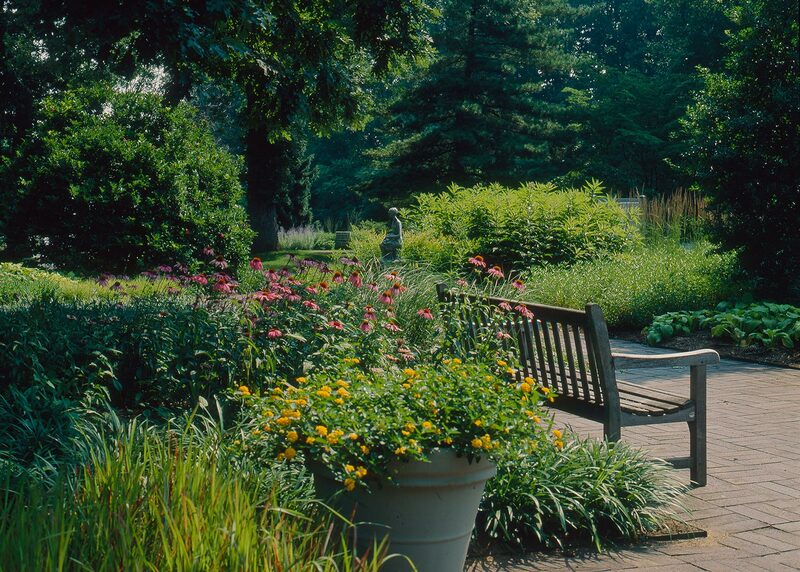 Massings of perennials with seasonal interest surround brick walkways and terraces. 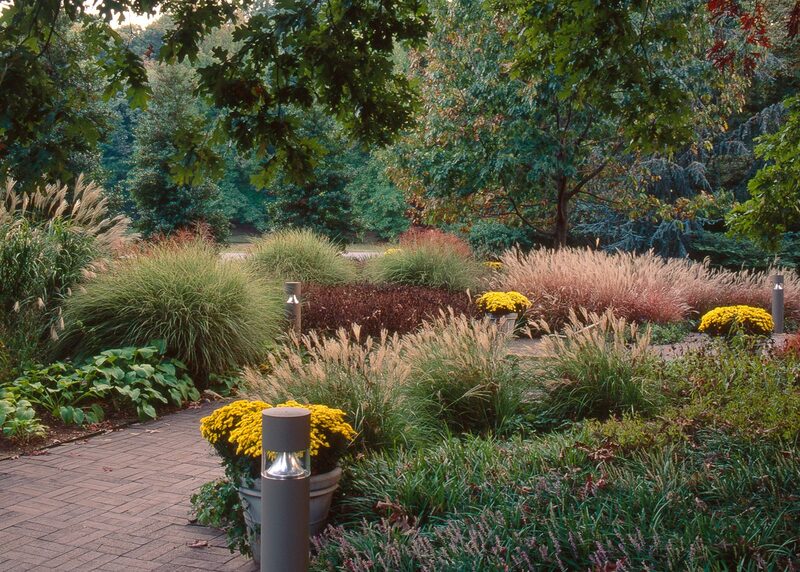 While dramatic, these plantings are attuned to the nearby Arbor House’s relatively small, domestic scale. These gardens demonstrate other design principles for which OvS is known–higher plants have been placed toward the street so that it is possible to have a lavish garden between the curb and the house, reclaiming the front yard for the people who live there. To maintain a sense of place, a careful balance of deciduous and evergreen plants plays up the borrowed scenery of the National Arboretum.